At Pine Chiropractic Center we have been specializing in treating Car Accident Injury victims in Pompano Beach for over 50 years. Call Pine Chiropractic Center to get your Injuries Treated and documented immediately. Ask Pine Chiropractic Center to refer you to the best Personal Injury Attorneys in your area. Call Pine Chiropractic Center to get your injuries treated and documented immediately with a chiropractor. It’s important to locate a quality chiropractor to work on your body after an accident. Those who are experiencing pain in the Pompano Beach, FL area should stop by our clinic at 611 E. Atlantic Blvd. At Pine Chiropractic Center, we have been taking care of people suffering from pain after an auto injury for many years. There isn’t any injury we haven’t seen before, so stop by to consult with the doctor about eradicating your pain. Your body will thank you after the first treatment and you will be feeling much better in no time. When you’re involved in a car accident, it’s easy to become injured and not even be aware. One of the most common injures that people sustain during auto accidents is whiplash, a painful condition of the neck that results in symptoms that can seem unconnected to one another. At Pine Chiropractic Center in Pompano Beach, we’re able to easily recognize the symptoms of whiplash and have years of experience treating injured patients. We help patients every day who need to recover from their auto injuries and are seeking relief from debilitating pain. Nutritional and lifestyle advice. We'll help you make better choices at home and at work, so you can avoid further injury. If you were recently injured in a car accident, don't wait to start showing signs of injury. Contact an auto accident chiropractor today. At Pine Chiropractic Center of Pompano Beach, we'll help you get back on your feet and relieve your pain in a way that is natural and non-invasive. Contact us today for a consultation and your first appointment immediately to get started on your journey to wellness. Have you been injured in a car accident? If you live in the Pompano Beach area, we have a car accident injury chiropractor who can provide you with care and help you start living a pain free life. You may be wondering why it is necessary to get treated by our Pompano Beach chiropractor following an accident. But if you consider the most common types of injuries attained, you will begin to understand why Pompano Beach car accident injury treatment is so crucial. Injuries to the neck and back are very common, including one condition in particular called whiplash. When whiplash occurs, the neck stretches and then quickly snaps back into place. This not only hurts the neck, it can also cause damage to the vertebrae, ligaments, and spinal cord. Even if you don't feel any pain or have any of the above symptoms after an automobile accident, you should still seek Pompano Beach car accident injury treatment. Just because there is no pain doesn't mean there still wasn't an injury sustained. It can sometimes takes days or even weeks for you to feel any negative side effects from an accident. Some injuries are not actually detected until months or even years after an accident. Whether you have pain or not following an auto accident, one of your first calls should be to our chiropractor in Pompano Beach. Have you recently been in an auto accident? If you are seeking car accident injury treatment in Pompano Beach, contact us today at 954-782-7006. If you've recently been involved in an auto injury in Pompano Beach, you may be experiencing symptoms of whiplash. After an auto accident, an individual can begin experiencing symptoms such as neck pain, back pain, and headache within 6-12 hours. At our Pompano Beach wellness center, we know that an auto injury can be life altering and we are here to help. Pine Chiropractic Center is an expert in pain management and works to minimize and diminish the effects of soft tissue damage with quality chiropractic care. During impact, one's body is accelerated one way while the head momentarily stays in the same position, causing hyper-extension of your neck muscles, ligaments, and tendons. In many cases, your body then tries to compensate for this misalignment by jerking your head forward, which can cause further tissue and ligament damage. This strain is what we refer to as "soft tissue damage" because your tendons and muscles are soft in comparison to your bones. At Pine Chiropractic Center, our doctors focus on treating the symptoms of whiplash and delivering expert pain management techniques to ensure a fast, seamless recovery. Your life has been changed since your Pompano Beach auto injury. 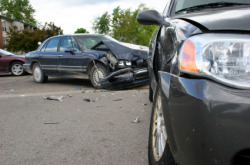 We understand that an auto accident can cause pain and hardship. Our goal is to help ease your pain, regain your mobility, and help you recover. We pay special attention to injuries unique to car accidents such as whiplash, back pain, neck pain, and headache. Let us help you get the care you deserve to heal properly as a result of an auto accident injury. Did you know that most injuries caused by auto accidents go undetected for months or even years? Most auto accident victims are unaware of hidden injuries because the pain is masked by medications. Sadly, most doctors don't even have the training to detect soft tissue injuries, so they prescribe drugs to cover up your symptoms. Insurance companies win because they get released from liability by requesting that victims settle their cases before they even get checked for soft tissue injuries! Any injuries to the ligaments, tendons, and muscles qualify as soft tissue injuries. Symptoms include, muscle stiffness, neck pain, numbness and tingling into arms or legs, low back pain, fatigue, muscle spasms, headache, mid-back pain. If a soft tissue injury goes untreated, patients are at risk for arthritis and long-term pain. Don't settle with your insurance company until your injuries have been thoroughly documented and treated. Auto Insurance pays for your treatment. Cost for care can be covered by insurance or upon settlement of the claim. And, you have the right to choose the doctor you want to treat your auto injury. See a specialist that understands your injuries and the best way to treat them. Contact us today to see how Pine Chiropractic Center can relieve your auto injury symptoms! At our Pompano Beach Florida chiropractic center we see many Pompano Beach auto accident injuries that could have been prevented. According to the US Census there are approximately 11 million accidents each year and we could all be driving a little more carefully. 1. Drive focused with both hands on the wheel and avoid distractions like cell phones & food. 2. Don't drive when you are tired or fatigued. 3. Always wear your seat belt and make sure your seats are properly adjusted. 4. Place children in the back seat and make sure the child safety seats are properly installed. 5. Don't drive when you are angry or upset. 6. Regularly check your tire treads and tire pressure and replace worn tires. 7. Have your breaks tested on a regular basis. 8. Take road and weather conditions into consideration when driving. 9. Drive at, or slightly below, the speed limit. 10. Keep at least one car length between you and the car in front on you. 11. Be aware of blind spots and other vehicle limitations. 12. Never drive while intoxicated or under the influence of drugs. Whiplash is the most common auto accident injury treated by our chiropractor, Dr. Pine. Whiplash is caused by the rapid extension and flexion of the neck during a car accident. The movement can be very damaging to the bones, faceted joints, muscles and ligaments of the neck and back. Severe whiplash may require orthopedic treatment and whiplash has even been known to cause brain injury. Here at our Pompano Beach clinic, we use chiropractic manipulations combined with physical therapy, and massage to rehabilitate the back and neck after a whiplash injury. Additionally, Dr. Pine is experienced in orthopedic care and will use his knowledge to further enhance your recovery and pain relief. Dr. Pine will provide you with a physical therapy program that includes massage therapy; electro-stimulation, trigger point therapy and specific stretching and range of motion exercises to ensure that your soft tissues heal correctly and that you enjoy a full recover from your auto accident injury. In most auto accident cases there are no out of pocket expenses (including co-payments and deductibles) for the patient. Dr. Pine has been working with auto injuries for over 35 years. He will work closely with your Medical Doctor and Attorney to make sure that you have a supportive team behind you on your road to recovery. Massage Therapy at our Pompano Beach Chiropractic Office for Auto Accident Injuries and More! Regular massage therapy is known to cause a reduction in perceived lower back pain as well as many other types of pain such as upper back pain, neck pain, and shoulder pain. The pain management qualities of massage therapy (especially when combined with chiropractic care) often allow patients to decrease or even eliminate their reliance on pain medications. Massage therapy is especially effective when used to reduce the pain symptoms of whiplash, soft tissue injuries and other car accident pain symptoms. Massage is also extremely effective at reducing the severity and occurrence of certain types of migraines and chronic headaches. If a patient is suffering from muscle spasms or cramps, massage can help restore normal balance to those muscles. While there are many long term benefits of regular massage therapy, you may be surprised to find out that most patients experience benefits after receiving only a single massage session. For example, even a single session of massage can release all-natural pain killers called endorphins which help reduce pain and may also improve your mood. Studies have suggested that immune function indicators may be improved after receiving a single massage session, which means that your immune system appears to get a boost from massage. What options do you have in Pompano Beach for massage therapy? You may not realize that the auto injury chiropractors at Pine Chiropractic Center also offer massage to their patients as a great way to compliment their chiropractic care. At our chiropractic clinic in Pompano Beach, we commonly see massage patients from Pompano Beach, Lauderdale-by-the-Sea, Oakland Park, Wilton Manors, Fort Lauderdale, Lighthouse Point, Hillboro Beach, Deerfield Beach and the surrounding Broward County areas. We believe that everyone deserves to try out massage therapy for themselves, so we've made it easy for you to get started. If you want to start experiencing the benefits of massage in Pompano Beach, give us a call at 954-782-7006 and schedule an appointment today! How to Drive Safely During Your Daily Commute: Dont Get in an Auto Accident! At Pine Chiropractic Center in Pompano Beach, we see many patients who have had an auto accident injury in Pompano Beach, Lauderdale-by-the-Sea, Oakland Park, Wilton Manors, Fort Lauderdale, Lighthouse Point, Hillboro Beach, Deerfield Beach, and the surrounding Broward County area. Auto accidents can cause a variety of pain symptoms including neck pain, headaches, and lower back pain. While we can help auto accident injury patients start their road to a full recovery using chiropractic care, physical therapy, and massage therapy, the best treatment for an auto accident injury is prevention. Most auto accidents in the U.S. occur within 20 miles of the drivers home. Only 1% of car accidents take place more than 50 miles from home. Due to how often you take your daily route, it can be one of the most likely places for you to become involved in an auto accident. Luckily, there are many things you can do to prevent yourself from getting an auto accident injury in Pompano Beach, Lauderdale-by-the-Sea, Oakland Park, Wilton Manors, Fort Lauderdale, Lighthouse Point, Hillboro Beach, Deerfield Beach or anywhere else! Follow these easy tips to substantially reduce your chance of becoming involved in an auto accident during your daily commute. Wear Your Safety belt: Safety belts or seat belts can prevent an auto accident from being fatal about half of the time. If thats not enough reason for you, consider that drivers wearing a safety belt in an accident are much more likely to be able to walk away from an accident without serious injuries. Inspect the tread of your tires: Ensure that the grooves (tread) in your tires are at least 2/32" deep which is the legal limit in Pennsylvania. If you are going to be traveling in the rain or snow, you should have treads with grooves that are 4/32 or 6/32 deep. Treads with deep enough grooves will help your tires perform better in bad driving conditions and help you stay in control of the automobile. Check your tire pressure: In addition to the tire tread, it is important to regularly check the air pressure for each tire. Correctly inflated tires will reduce your chances of getting a flat tire and will also improve the handling on your car or truck. Properly inflated tires with a good amount of tread could help you avoid an auto accident! Plan for traffic: Allow plenty of extra traveling time to account for the heavy traffic which occurs during rush hour. Avoid getting in the habit of leaving your house five minutes late every day and rushing through traffic to try to make up the time. Follow posted speed limits: Time is precious, but being in a hurry and speeding are major causes of many auto accidents. Plan ahead to allow enough time for your commute and give yourself a few minutes extra minutes to allow for traffic or an unexpected stop. Keep in mind that many drivers on the road are worried, hurried or distracted while they are driving to work or school. Because other drivers may be less careful, you must make sure you stay vigilant to avoid an auto accident in Pompano Beach. If you follow these driving safety tips, you are one step closer to making sure that always arrive safely to your destination! If you have experienced an auto accident injury, don't live another day in pain! 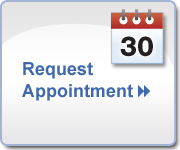 Call Pine Chiropractic Center today at 954-782-7006 for an appointment or request an appointment online! Experiencing a car accident can wreak havoc both emotionally and physically to the body. The blur of events and surge of adrenaline can stunt the prevalence of injuries until hours or even days after the accident has occurred. It can be a draining ordeal to say the least. After the physical and emotional trauma that may occur following a car accident, having a facility that will offer full recovery services and attentive care from a chiropractor can ease the pain and residual effects that may stem from an accident; while also initiating intensive rehabilitation to begin repair to injuries. For those in the Pompano Beach, Lauderdale-by-the-Sea, Oakland Park, Wilton Manors, Fort Lauderdale, Lighthouse Point, Hillboro Beach, and Deerfield Beach areas who are suffering neck pain, headaches, low back pain and other injuries as a result of a car accident, chiropractic services are available for immediate attention. A chiropractic evaluation is important in order to fully assess the level of damage that has been caused to the body, some of which may not be noticeable externally. Certain injuries such as swelling, chronic headaches and continual low back pain can be eliminated and monitored with massage therapy techniques and physical therapy exercises. More importantly, more serious injuries can be treated directly to prevent further damage from occurring within the body and to maintain pain management for everyday active lifestyles. Seeking treatment from a chiropractor in Pompano Beach and the surrounding areas (Lauderdale-by-the-Sea, Oakland Park, Wilton Manors, Fort Lauderdale, Lighthouse Point, Hillboro Beach, and Deerfield Beach) is essential following a car accident to evaluate the kind of treatment available and understand the goals of care for every step of the wellness plan. In addition, an immediate visit to the chiropractor will help to prevent further injuries and help to restore stability and comfort for the body through a chiropractic combination of massage therapy and physical therapy. The severity of a car accident cannot always determine the level of treatment needed for various injuries. Even the slightest fender bender can cause spinal misalignment, bruising, swelling and often times painful effects including neck pain, headaches and low back pain that may require a chiropractors trained methods and implemented exercises to alleviate soreness, rehabilitate injuries and ease low back pain and other muscle tenderness. A complete evaluation will address all injuries, both internally and externally and a chiropractor can determine where the concentration of chiropractic care should be focused on, as well as what areas of the body are also being affected by the injury. This allows each treatment to provide the maximum benefits for the body's full, healthy recovery. Although at times recovery can seem slower than one might hope for, with the right treatment and consistent tracking of progress, the pace at which healing can actually occur happens more quickly than previously anticipated. By seeking immediate attention, this helps pave the way for returning back to normal after the injury and stress that can result from being involved in a car accident. Being in the capable hands of a chiropractor can help ease the minds and bodies of those injured in order for health and wellness to be restored. Experiencing Pain After a Car Accident in Pompano Beach? Pine Chiropractic Center in Pompano Beach understands the many ways a car accident can impact your life. Our caring and experienced doctors know how important it is to not only decrease your pain and improve your mobility, but also to properly prevent issues that may not appear for months or even years after your car accident. If you have an auto accident in Pompano Beach, you are entitled to proper care and chiropractic treatment can be covered by your insurance. Make sure you visit Pine Chiropractic Center to see what we can do to help you reduce your pain, heal your spine and ensure your tissues do not sustain any long-term damage. Soft Tissue damage, or injuries that occur to your tendons and muscles, can cause symptoms you might not recognize right away: headaches, difficulty concentrating or sleeping, fatigue, muscle spasms and numbness or tingling in your arms or legs. Even if you arent experiencing more noticeable symptoms of whiplash like muscle stiffness or pain in your neck or spine, make an appointment with one of our chiropractors before settling with your insurance company. Unfortunately, many doctors dont have the proper training to diagnose soft tissue damage and may prescribe pain medication to cover up the symptoms without healing the injury. Left untreated soft tissue damage can result in arthritis, chronic pain and decreased mobility. Let us help you avoid being the victim twice. Until your injuries have been properly diagnosed and a treatment plan is in place, do not settle. The cost for care can be covered by auto insurance or upon settlement of the claim. Furthermore, you have the right to choose the doctor you want to treat injuries received in your Pompano Beach auto accident. Regardless if you are currently experiencing symptoms, if you want to get checked to ensure you dont have any soft tissue injuries or if you simply want a healthy alternative to pain medication, our caring doctors have years of experience in Chiropractic care and auto accident injuries. Here at Pine Chiropractic Center we pay special attention to whiplash and other auto injuries so that we can get you the health care you need. Healing your pain and restoring the health of your spine is our primary goal. Let Pine Chiropractic Center help you with pain relief and physical therapy after your Pompano Beach car accident. Call today at (954) 782-7006 to set up your appointment and get on the path to a life without pain or Request an Appointment Online! Soft Tissue Injury SYMPTOMS include, muscle stiffness, neck pain, numbness and tingling into arms or legs, low back pain, fatigue, muscle spasms, headache, mid-back pain, difficulty sleeping, sore achy muscles, whiplash, difficulty concentrating. **Improper healing of soft tissue injuries can cause arthritis and long-term pain. ** Don't settle with your insurance company until your injuries have been thoroughly documented and treated. AUTO INSURANCE PAYS FOR YOUR TREATMENT. Cost for care can be covered by insurance or upon settlement of the claim. And, you have the right to choose the doctor you want to treat your Pompano Beach auto injury. Get the medical attention you deserve by law. See a chiropractor that understands your injuries and the best way to treat them. The body is propelled forward. The head remains in its original position; then, before the neck muscles can relax to allow motion, the head is abruptly moved backward, often farther than its standard range of motion. A rebound action occurs when the body stops suddenly and momentum forces the head and neck forward. The injury itself is usually a tear/stress of soft tissues in the neck caused by sudden, forceful movement. Symptoms may occur immediately, or the injury may not be recognized until hours or even days after the trauma occurred. A whiplash injury victim may experience one or more of a variety of symptoms: muscle spasms, cervical spine pain, headaches, shoulder/neck pain, nausea, blurred vision, ringing in the ears, dizziness, concussion, limited range of motion, numbness, or reduced ability to hold the head erect. Again, none of these symptoms may show up immediately after the accident; there may be a gap of anywhere from several hours to a few days before anything unusual is experienced. The extent of the injury depends upon not only the severity of the actual accident, but of any potentially complicating factors experienced before the accident, such as a previous spinal injury or surgery, advanced age, congenital spinal problems, etc. How do people recover after a whiplash injury? That depends on several factors: the severity of the injury, the type of treatment needed to recover, how soon the injury is attended to, etc. Your healthcare professional can perform a thorough evaluation of the injured area, and should be consulted as soon as possible after any automobile collision, no matter how minor. Contrary to popular belief, there is generally no correlation between the extent of personal injury and the amount of damage to the vehicles involved. Again, it depends on the factors mentioned above: severity of injury, needed treatment, and length of time between accident and professional evaluation. Your chiropractor can best answer that question.